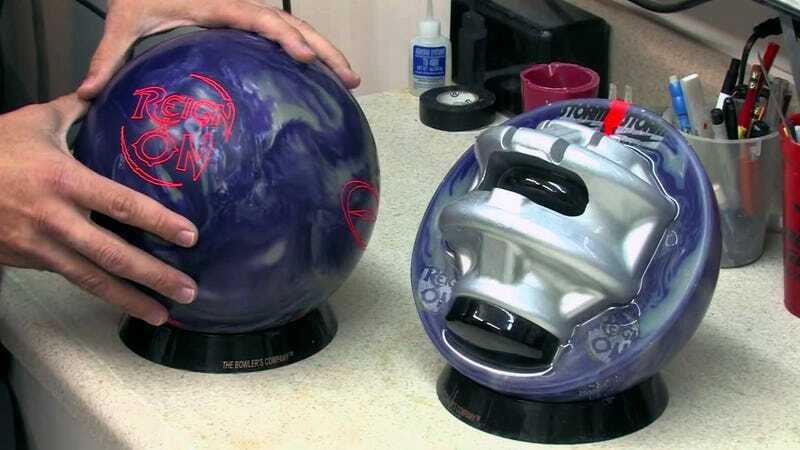 I'm sure that professional and semi-professional bowlers know that high end bowling balls are not solid but contain weird-looking cores that are supposed to make your game better. I don't know how much science is there, but you can listen to the explanation on this marketing video by ball manufacturer Storm. Any bowling pros would like to comment?